Kansas-born Pauline Benton (1898-1974) was encouraged by her father, one of America's earliest feminist male educators, to reach for the stars. Instead, she reached for shadows. In 1920s Beijing, she discovered shadow theatre (piyingxi), a performance art where translucent painted puppets are manipulated by highly trained masters to cast coloured shadows against an illuminated screen. Finding that this thousand-year-old forerunner of motion pictures was declining in China, Benton believed she could save the tradition by taking it to America. Mastering the male-dominated art form in China, Benton enchanted audiences eager for the exotic in Depression-era America. Her touring company, Red Gate Shadow Theatre, was lauded by theatre and art critics and even performed at Franklin Roosevelt's White House. 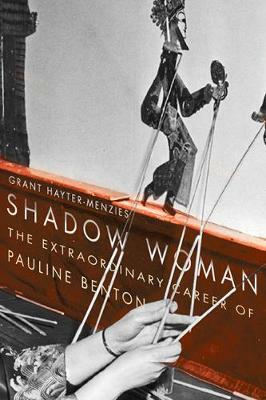 Grant Hayter-Menzies traces Benton's performance history and her efforts to preserve shadow theatre as a global cultural treasure by drawing on her unpublished writings, the recollections of her colleagues, the testimonies of shadow masters who survived China's Cultural Revolution, as well as young innovators who have carried on Benton's pioneering work.